Kachin NGOs react to China’s perceived attempt to resurrect Myitsone dam project. Existing foreign investors may find their local partner facing closer scrutiny, while new investors have to consider how their potential partners attained their level of wealth. If Aung San Suu Kyi wants a “second Panglong conference” to succeed, her government will have to learn from the failures of the first. A journalist reflects on what Burma’s historic handover of power means for her as a citizen, and as a member of her profession. The legacy of reforms that marked the early part of outgoing President Thein Sein’s administration has been marred by renewed repression. 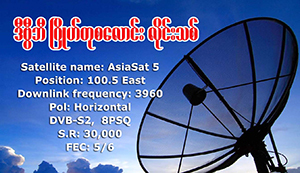 Burma’s private media operators, arguing that state-owned outlets have an unfair advantage, call for an end to government control. Disarmament of ethnic armed groups should go hand-in-hand with comprehensive reforms of Burma’s security sector, including the Tatmadaw. GDP statistics are being tweaked to present a rosy picture of Burma, which remains the third most corrupted country among all Asia Pacific nations. After decades of persecution, the former opposition is set to take power. Women are seen as the custodians of culture in Burma. But in a patriarchal society, do they also have the key to unlocking/creating gender equality? As the incoming head of state, the moral and political responsibility to end the slow genocide in Burma will fall squarely on Suu Kyi’s shoulders. The Burmese army has been launching major offensives against ethnic militias that did not sign the NCA, writes Brang Hkangda. Will an NLD-led government be able to transform the lives of conflict-affected ethnic communities, or will they continue to be dominated by militarisation?